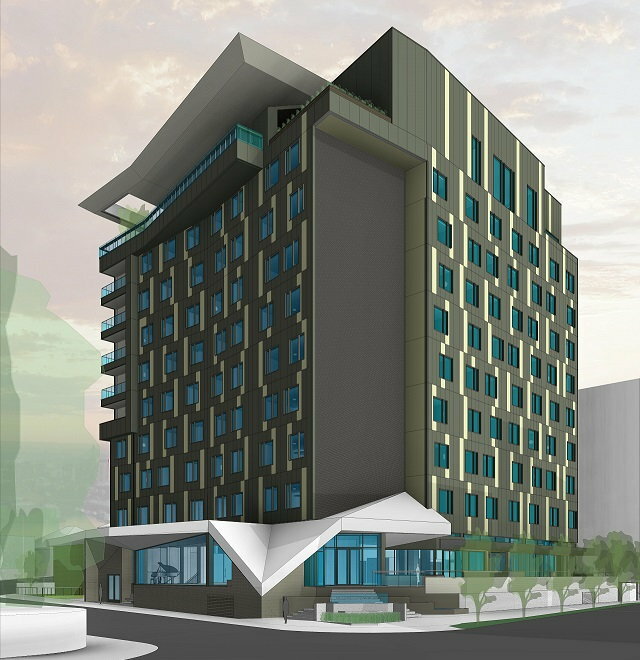 Hotel Equities (HE) and Tapestry Collection by Hilton revealed plans to transform Nashville's iconic United Artists Tower into an upscale, 185-room boutique hotel under Tapestry Collection by Hilton brand. Hotel Equities (HE) and Tapestry Collection by Hilton revealed plans to transform Nashville's iconic United Artists Tower into an upscale, 185-room boutique hotel under Tapestry Collection by Hilton brand. The property, owned by Sai Ram 009 LLC, is located at 50 Music Square West in the heart of Nashville's famed Music Row in close proximity to music titans BMI, ASCAP, SESAC, CMA and Curb Records to name a few. Music Row's famed United Artists Tower was originally constructed in 1974 by two members of Elvis Presley's backup band, The Jordanaires, and served as office and recording studio space for decades. At nine-stories tall, it remains the tallest building on Music Row, affording 360 degree views of Music City. Transformation of the 56,700 square foot building is scheduled to begin by the end of this year. The new Tapestry Collection hotel will fall into Hotel Equities' full-service and resort division of hotels. The firm manages premium hotel brands throughout the U.S. and Canada with asset classes ranging from suburban, urban upscale boutique and resort-style hotels. "We are proud to partner with this ownership group and Hilton," said Joe Reardon, Sr. VP of Business Development for HE. "During initial conversations about the project, we were impressed with the passion and enthusiasm the owners displayed in regard to preserving the unique and important history of the building. We felt aligned with them right away and share in their excitement to bring the new hotel to Music Row." "We are excited to partner with Hotel Equities to revitalize a building with such a storied past into a vibrant hotel that will be an ideal addition to the growing Tapestry Collection portfolio," said Jenna Hackett, global head, Tapestry Collection by Hilton. "The original style and offerings of this forthcoming hotel will truly encapsulate the spirit of the city and will be one of the first Tapestry Collection properties in the great city of Nashville." The hotel will welcome out of town travelers as well as the local music community with its close proximity to historic RCA Studio A and B, Owen Bradley's Quonset Hut and numerous other well-known recording studios.